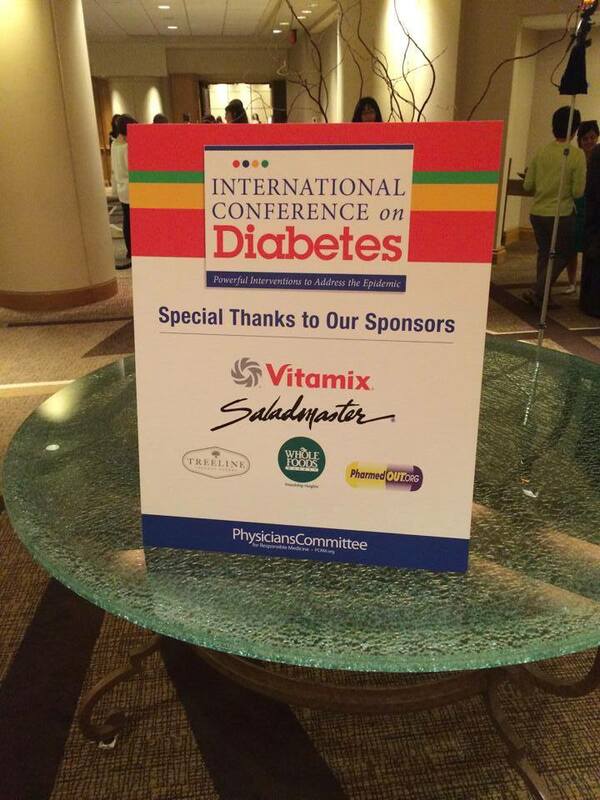 Friend to Dietitians For Professional Integrity Dr. Garth Davis of Houston, Texas shared this photo earlier today from the International Conference on Diabetes put on by the Physicians’ Committee for Responsible Medicine. We were happy to see that the sponsors for this conference align with the theme and purpose of a health-related conference. This is a two-day conference that awards Continuing Education Units, and goes to show that sizeable events can be organized with no need for funds from the likes of Coca-Cola, PepsiCo, or General Mills. And, as we have shared on this page before, keep in mind that the American Public Health Association — which puts on one of the largest health-related conferences in the country — does so without funds from Big Food or Big Soda. At the very least, this weakens the argument that health organizations can not sustain themselves without taking money from misguided sponsors.